You’ve probably received a few estimates from different contractors in your area, but are those quotes as comprehensive as they appear? Before you sign on the dotted line, check to make sure these hidden pool building costs are accounted for in your bill. Retaining Walls: The necessity of a retaining wall is dependent on the slope and general topography of your backyard, but if it is necessary, boy, is it! Retaining walls work to keep water and dirt from flowing into your pool. If your contractor has hinted at the possible need for a retaining wall, ask him to include it in your estimate. It’ll save you from a headache and a hard conversation later. Dirt Hauling and Land Clearing: Depending on the existing terrain of your backyard and the size and shape of your pool, your pool builder may need to do extensive land clearing and dirt excavation. This labor—coupled with cost of hauling the excess dirt away—can really add up. Talk with your prospective contractors to make sure they include these costs in their quotes. Electrical Work: Electrical work while building a pool? It sounds odd, doesn’t it? But pumps, lights, generators, and filters—not to mention automatic covers and hot tubs—can require additional power and setting those up can cost you money. Some contractors include the cost of electrical hook-up in their estimate, but others treat it as a separate invoice. Make sure that you have a clear idea of the cost of electrical work before the building begins. Landscaping: Has your pool builder paired with a landscaping service to provide you with a truly scenic backyard? Or will you be expected to line up a landscaper after the fact? Extended Decking: While you were designing the perfect outdoor space for your in-ground pool, you put a lot of thought into the right decking and coping to define your pool. But would you like that decking to continue into a patio or extend past the normal 3’-4’ border? That could cost you. Discuss the possible additional decking needed with your contractors and make sure that is included in their estimates! Fencing: According to Louisiana building codes, all outdoor swimming pools are required to have a surrounding barrier or fence. But is that mandatory cost included in your estimate? 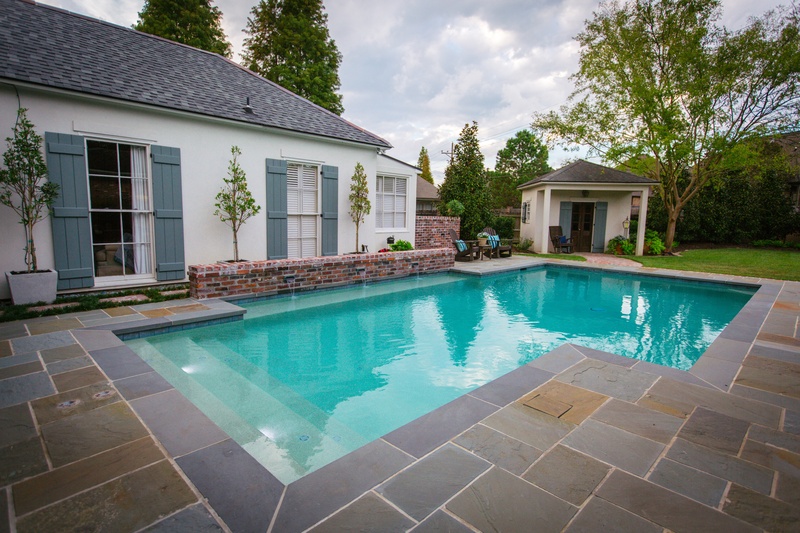 When it comes to building a truly spectacular in-ground pool in Louisiana, you deserve the best in quality and customer service. That starts with your pool builder’s estimate. Call the pool building experts at Lucas Firmin Pools for a professional consultation and quote. It’s never too early to start building the pool of your dreams.